Eureka! I Found My Motivation! Now that I knew my problem was a lack of motivation, I set forth trying to determine what would motivate me. Some people are motivated by “haters”; others are motivated by family. The one thing most of these forces have in common is that they are external forces. Well, I am not motivated by external forces. I didn’t grow up feeling the need to be successful in order to prove something to someone who didn’t believe in me. Nor did I feel pressure to be the future caretaker of the family. Consequently, I developed a highly independent nature, relying on research, deductive reasoning, and some common sense to influence my mindset. The benefits of being highly independent are clear when it comes to problem solving. 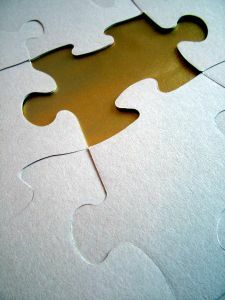 You learn how to become resourceful when in need of answers to puzzling questions. I began by asking my friends on social networks and in real life what motivates them. Popular responses included faith, a desire to succeed and bills. In Socratic fashion, I pursued further, unsatisfied with the responses. Every self help book, article, and quote about motivation gives those responses and still people get stuck in the mire of mediocrity. I needed to know what it was about having faith, a desire to succeed, or bills that spurred these people into action; and, not just action, but progression towards goals that they found intrinsically connected them to their inner being. After you’ve done these things, you will see a pattern emerge. Somewhere in this list is your career. If you already know what you would do with the rest of your life but can’t get yourself motivated to do it, then you are in the position I was in not too long ago. After talking to people about their motivation and reading through multiple articles and quotations, I realized the secret to finding your motivation has nothing to do with you. Everyone who appears to have a special gift to succeed is only successful because they are motivated by their desire to be of service to others. John Mayer started his career motivated by women and fame, but he has those now. Without those to serve as motivators, what keeps him interested in playing music? Somewhere in there is a desire for people to be less judgmental. I suggest John Mayer lose the motivation to prove people wrong and write music that allows him to reconnect with his true self – the good guy with the best intentions. Sean Combs has said that his mother served as his main inspiration to become the media mogul that he is today. I’d like to ask him what keeps him motivated now that he can provide everything for her. I’ve come to realize where my motivation comes from, how I obtained it, and how I will keep it. My hope is that by reading this, you will develop your own realization. My goal is to help you get there from here. This entry was posted on February 16, 2010 at 11:14 PM	and is filed under Advice. Tagged: career, generation Y, get there from here, haters, help, job search, John Mayer, linkedin, motivation, my passion, Sean Combs, service, success, use your gift. You can follow any responses to this entry through the RSS 2.0 feed. You can leave a response, or trackback from your own site.